After moving to a new CMS, this website is still work in progress. Manuals and Howto's will be added step-by-step. 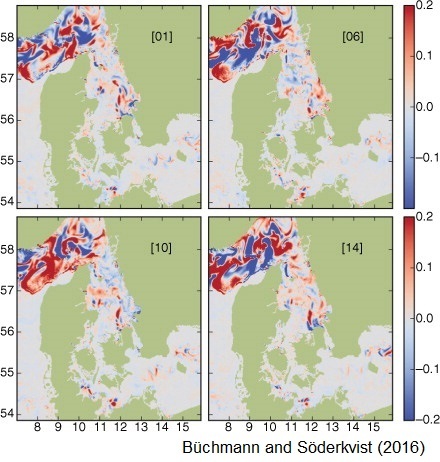 The Defence Centre for Operational Oceanography runs operational forecasts for the Danish waters. 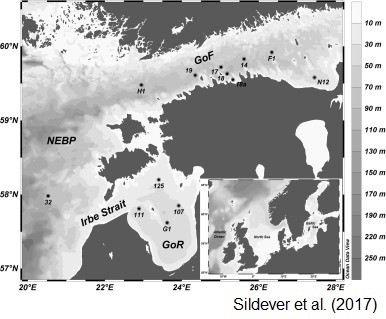 The core setup is a 60-layer baroclinic circulation model based on the General Estuarine Transport Model code. At intervals, the model setup is tuned to improve ‘model skill’ and overall performance. It has been an area of concern that the uncertainty inherent to the stochastical/chaotic nature of the model is unknown. Thus, it is difficult to state with certainty that a particular setup is improved, even if the computed model skill increases. 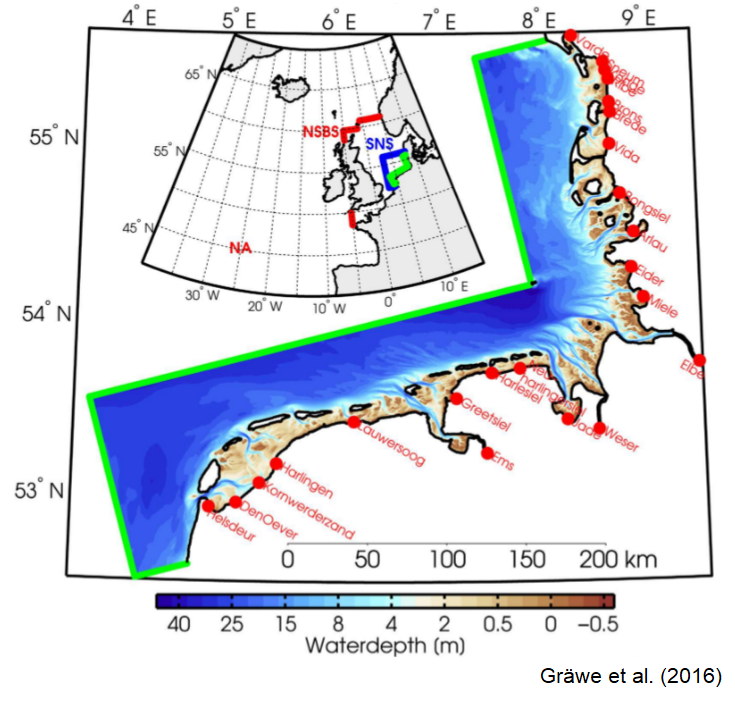 This issue also extends to the cases, where the model is tuned during an iterative process, where model results are fed back to improve model parameters, such as bathymetry. An ensemble of identical model setups with slightly perturbed initial conditions is examined. It is found that the initial perturbation causes the models to deviate from each other exponentially fast, causing differences of several PSUs and several kelvin within a few days of simulation. The ensemble is run for a full year, and the long-term variability of salinity and temperature is found for different regions within the modelled area. Further, the developing time scale is estimated for each region, and great regional differences are found – in both variability and time scale. It is observed that periods with very high ensemble variability are typically short-term and spatially limited events.